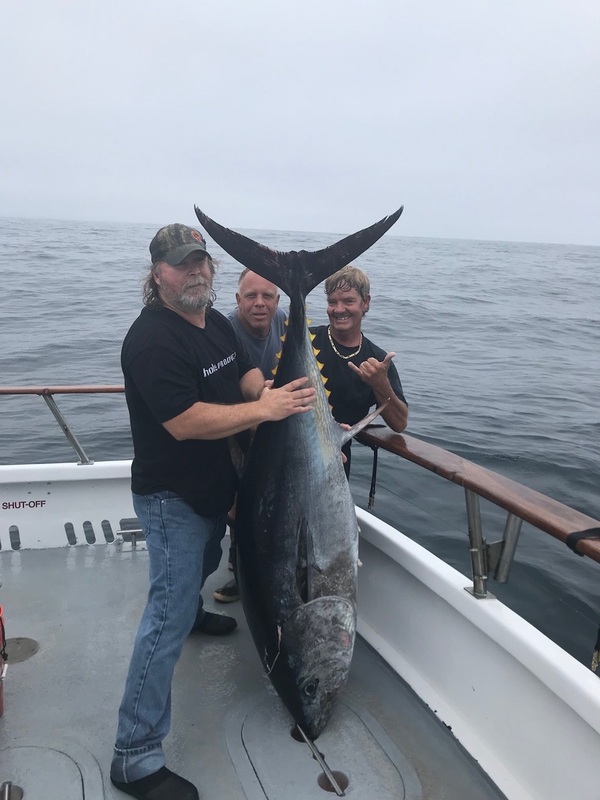 The Blue Horizon left for San Clemente last night on a overnight charter, and just reported landing a 207lb Bluefin Tuna this morning. The Blue Horizon has a reverse 1 1/2 day Open Party trip that will depart Wednesday, September 12th at 1:00 pm and return Thursday at 7:00 pm. We will be fishing trophy bluefin tuna from sunset to sunrise then into San Clemente Island to fish yellowtail. Price includes meals. Fishing lic. additional. For more information, or to reserve a spot, please go to our website at www.oceansideseacenter.com, or Call 760-450-0403.